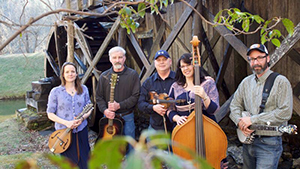 The music of The Country Boys and New Ballards Branch Bogtrotters will be featured during New River Community College’s Fiddle, Banjo and Dance Club jamboree on Saturday, January 12. Music will begin at 6 p.m. in 117 Edwards Hall at NRCC in Dublin. 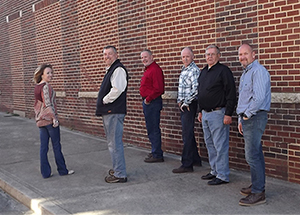 The Country Boys have been playing traditional bluegrass and bluegrass gospel music throughout North Carolina and Virginia for over 40 years. The band originally formed in the late 1960s, with several lineup changes throughout the years. The present band is made up of Donald Clifton, Johnny Joyce, Derrick Easter, Billy Hawks, Marsha Todd and Doug Joyce. The band cites the Country Gentleman and the Osborne Brothers as some of their musical influences. fiddle and vocals; Dennis Hall, guitar; Bonnie Bond, bass and vocals; Caroline Noel Beverley, mandolin; and Josh Ellis, banjo. The band has played at festivals across the U.S., and participated in the Friends of American Oldtime Music and Dance Festival in Gainsborough, England. Corporate sponsors of the jamborees include Anderson Audiology, Dublin; August Jewelers & Boutique, Inc., Radford; Duncan Ford – Lincoln – Mazda, Blacksburg; Estes Auto & Truck Parts Inc., Pilot; First Community Bank, Pulaski; Gregory Seeding and Landscaping Company, Pulaski; King’s Tire Service, Pulaski; Martin’s Pharmacy, Pulaski; Pepsi Cola Bottling Co., Dublin; Pulaski Patriot, Pulaski; Shoney’s Restaurant, Dublin; and Southern Furniture Warehouse, Radford. The doors open at 5 p.m. for the show. Admission is free; however, donations will be accepted to help offset the travel expenses for the musicians. The jamborees are held the second Saturday of each month through April at NRCC, a Crooked Road affiliated venue. More information about the NRCC Fiddle, Banjo and Dance Club is available from Tim Jones at 540-674-3625, and online at www.nr.edu/fiddle.